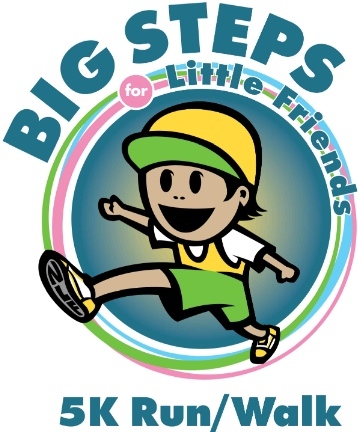 SAN FRANCISCO — Nihonmachi Little Friends (NLF) will hold its third “Big Steps for Little Friends 5K Run/Walk” on Sunday, Oct. 9, at Lindley Meadows in Golden Gate Park. Proceeds from this fundraising event will benefit the children’s programs of NLF and their building project, the Plant a Seed Campaign (PASC). NLF is a nonprofit, community-based organization providing bilingual and multicultural preschool and K-5th grade after-school programs to over 200 children annually in the heart of San Francisco’s Japantown since 1975. The PASC is overseeing the construction of the new NLF building addition, which will consist of an entry-level lower floor, a full first floor for the preschool program, and a rooftop playground with children’s garden. The new site is scheduled to open in early 2017. Registration for the event can be accessed through NLF’s website, www.nlfchildcare.org. On the day of the event, the 5K run will start at 9 a.m. with check-in beginning at 8 a.m. Walkers will start at 9:30 a.m., with check-in beginning at 8:30 a.m. and will conclude by 11 a.m. Following the run and walk, participants can enjoy breakfast/brunch refreshments, meet up with old and new friends, or participant in some Zumba, all in Lindley Meadows. Each participant will be entered into a drawing for an iPad Mini. Prizes will be awarded to the top three runners with the fastest times and the top walker with the most collected donations. Zumba will be provided by Angie Hirano, a licensed instructor and proud mother of two. She currently teaches at the Oakland Y and Lake Merritt Dance Center in Oakland. Her mission is to motivate people to live a happier and healthier lifestyle through the Zumba fitness program. Hirano is also leading a community fundraising effort to raise money for local nonprofit agencies serving people in need. Zumbathon charity events highlight local Zumba instructors who collaborate talents and give back to the community. To learn more, visit www.ashin.zumba.com. A partial list of sponsors for the run/walk includes Paragon Real Estate, J-Weekly, Clint K. Taura DDS, Xperience2, and Wise Sons.